This October, we'll finally see Sony's own Marvel Universe begin to unfold with Venom. Directed by Ruben Fleischer, the film stars Tom Hardy in the titular role, and sees his toothy alter ego taking on Riz Ahmed in the role of the villainous Riot. Jenny Slate and Woody Harrelson also star in the Spider-Man spinoff. 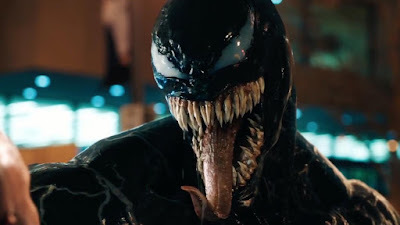 Now, speaking with ComicBook.com, director Ruben Fleischer was asked about sequel possibilities. Fleischer confirmed the film does build in teases for a follow-up: "We’ve definitely laid some groundwork for different directions that the franchise could go but obviously it all hinges on people’s excitement about this film. I hope people will stay and see what seeds have been planted." What some of those seeds could be remain to be seen at this time, although it is believed that Woody Harrelson will cameo as Cletus Kasady, the human who becomes Carnage, in the film. Venom opens in theatres on October 5th. Will you be checking out the superhero spinoff?